Notice this "great idea" has no mention of how they're going to test them while alive??!! HF950 would provide $1,560,000 in the fiscal year 2020 for wildlife disease surveillance and response, including $208,000 for responding to deer that escape from deer farms. 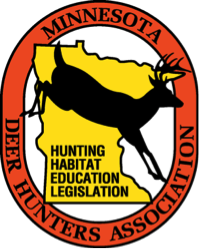 HF305 would allocate funds for a white-tailed deer herd buyout program. if I read this right, the bill would not allow for the licensing of any new deer farms, it would prohibit transfer of deer from one farm to another, and it would provide voluntary financial buyout to farmers to eliminate their herds. 1. How much $$$$$ are we talking about? Don't care for "blanks" when our gov. is talking money. I'd like to see something in black and white when it comes to politicans spending our money. 2. Reported WITHIN 14 days? Here again I'm pulling out my card. Any animal that is to be moved should be looked at and OK'd by a vet prior to it going anywhere. If it shows ANY signs of CWD the animal should be put down BEFORE it goes somewhere else. Need to add the word "prior to" between days and of so it isn't misread by people like me. 1.20 farmed white-tailed deer from any premises to another location. I'll get off my soapbox now, thanks for listening. And I forgot, thanks for the heads-up Steve-O. This is the first I've heard of these bills. This is why I say I don't understand legal-eeze. I would hope that these blanks would be filled in before the bill went for a vote, but I don't know. We are still early in the session and we know how these blokes work - nothing gets passed into law until the last day. At a minimum this statement seems to contradict the statement you object to, but more importantly, after the effective date (which is also TBD), I think it would supersede it. Which is to say, farmed white-tailed deer could not be moved after the law goes into effect. Notice also that with so much verbiage being dedicated to white-tailed deer, it would seem that elk farms are exempt from the legislation. Page created in 0.041 seconds with 45 queries.